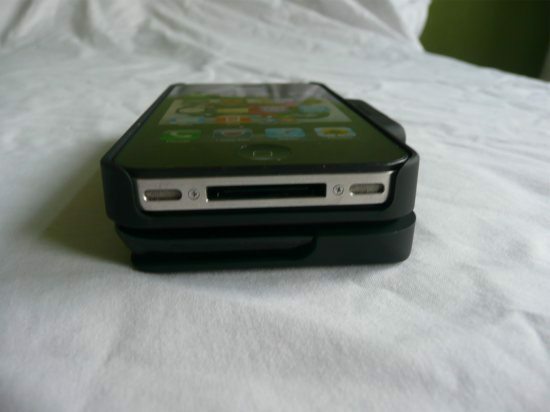 We will give you a few details on first impressions, design, what it feels like, ease of use, and much more, please grab yourself a drink and read on to see what we think of this iPhone 4 accessory, we will also give you our final summary and many photos that we have taken for your viewing pleasure. 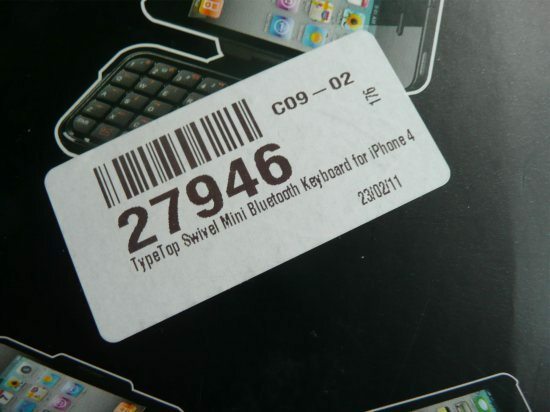 When we received the TypeTop Swivel Mini Bluetooth iPhone 4 Keyboard and case we thought it looked ok but a little on the bulky side, it looks good enough and can see some practicality in using it. 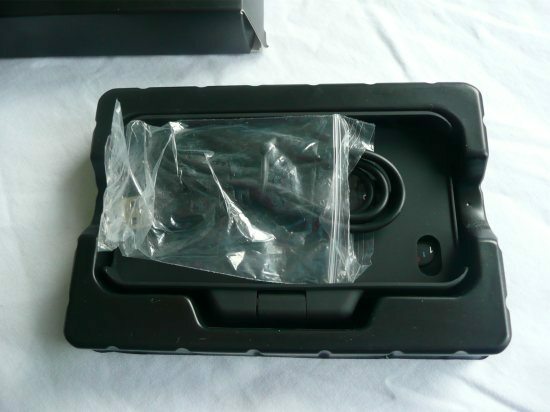 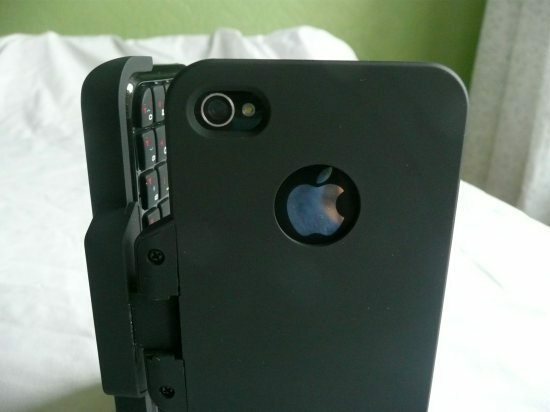 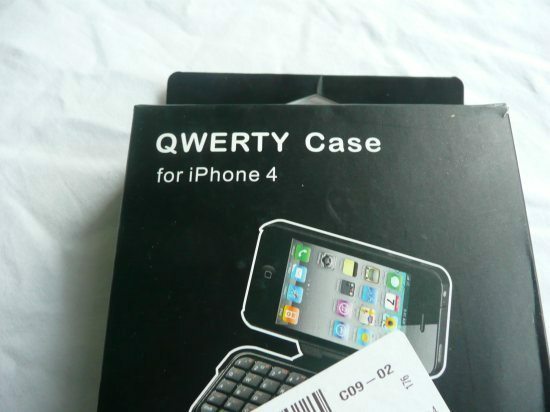 However, is it a product that you would keep an iPhone 4 fitted at all times whilst carrying around on a daily basis? 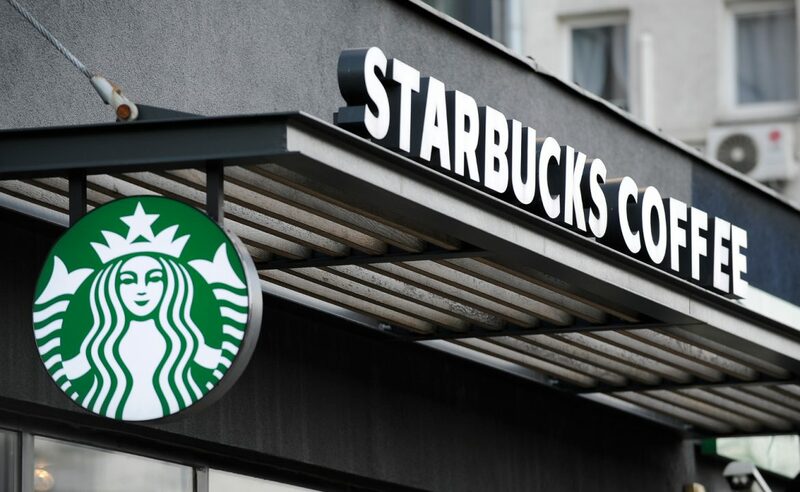 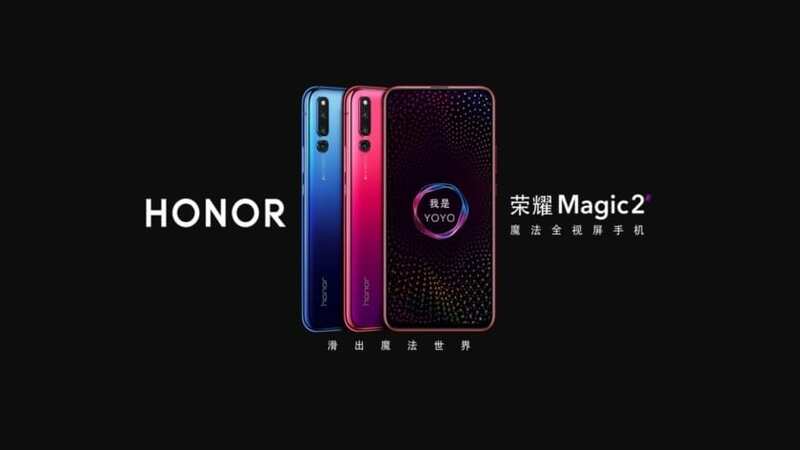 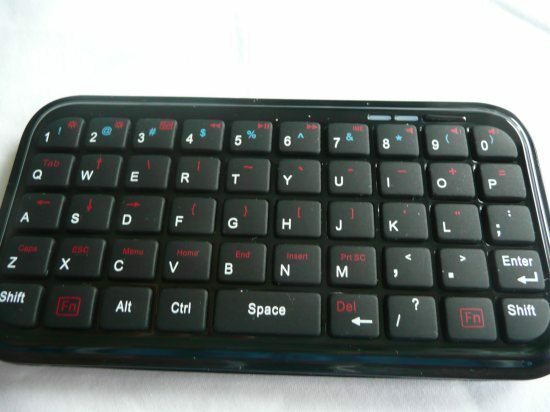 The design is very nice and has a top quality feel, it is not horrible to touch where you get that tacky plastic far from it. 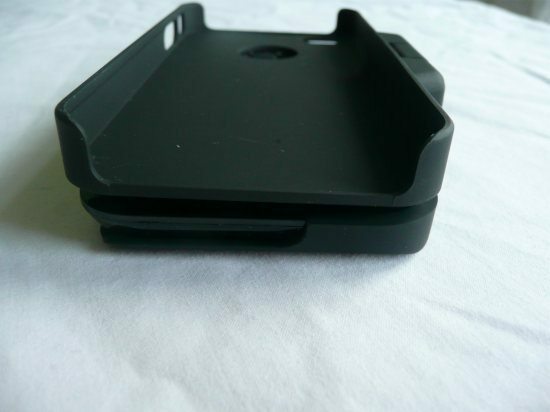 It has a nice feel, solid and sturdy whilst holding in your hands. 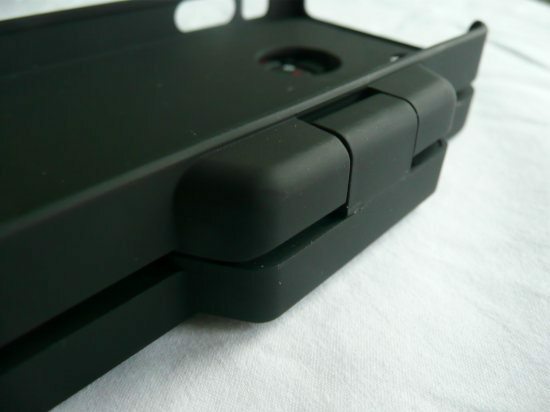 The swivel hinge works very well indeed giving you a 360 degree turn, which is beneficial for holding and supporting any angle you please. 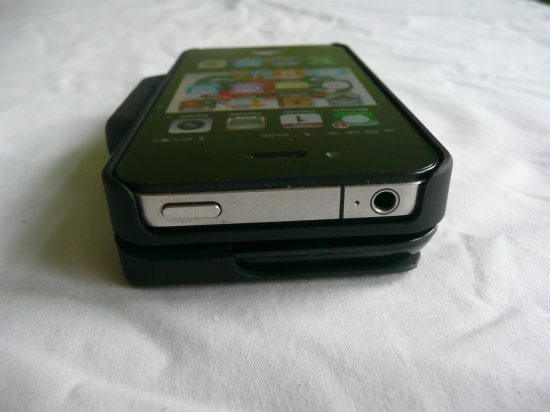 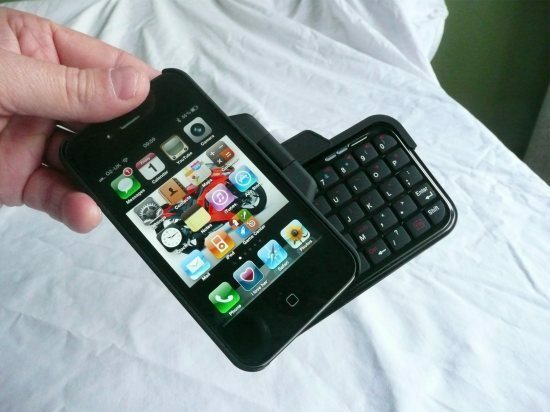 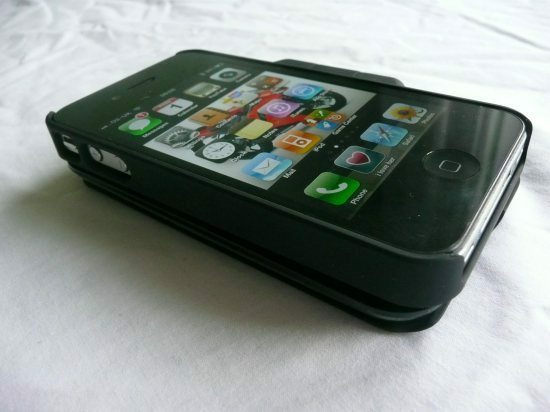 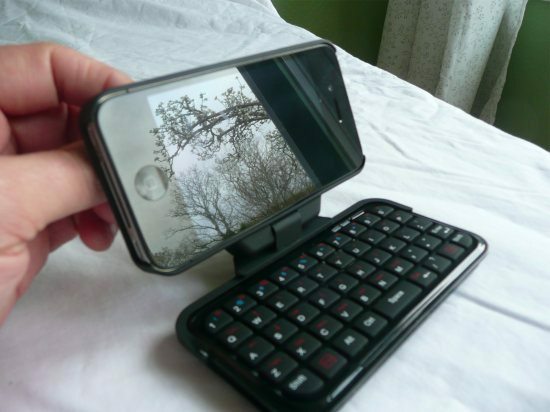 The swivel design allows many angels so that the iPhone 4 keyboard and the smartphone and can be used to satisfy your needs, if you feel like chatting on FaceTime you can swivel the iPhone 4 round so that the iPhone 4 is facing you whilst in stand-up mode, Full QWERTY keyboard is brilliant to type on, the keyboard has a built-in battery and that means the iPhone 4 battery is not under any loss and the case has all the cut-outs for all ports, buttons and cameras. 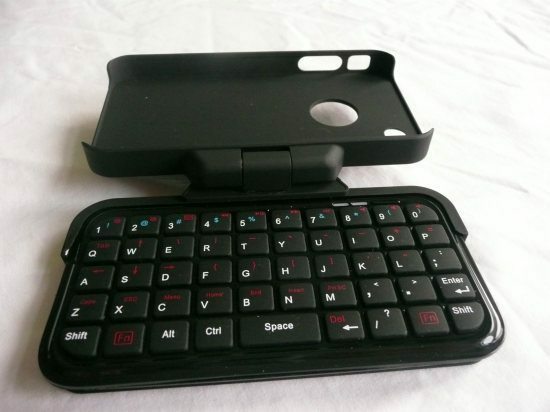 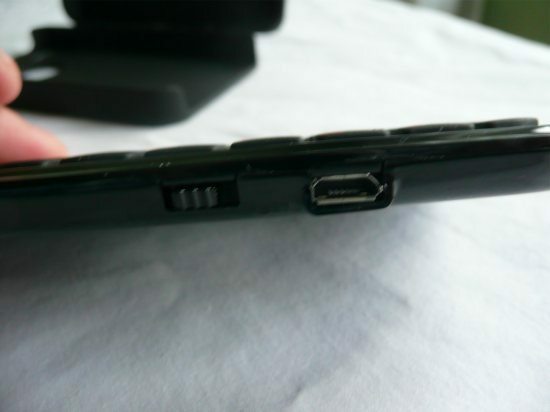 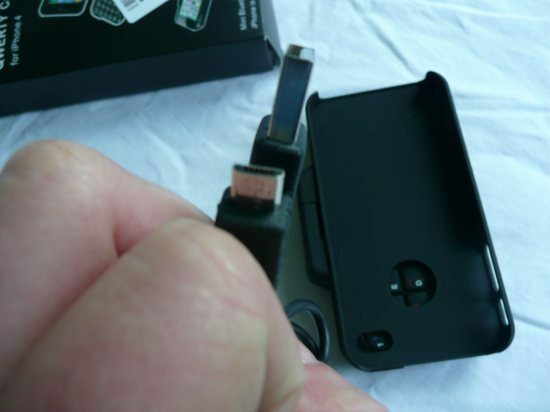 Pairing the iPhone 4 with the keyboard is very simple indeed, take the keyboard out of the case and on the back of the side you will see a mini USB port and a switch, just turn that switch on. 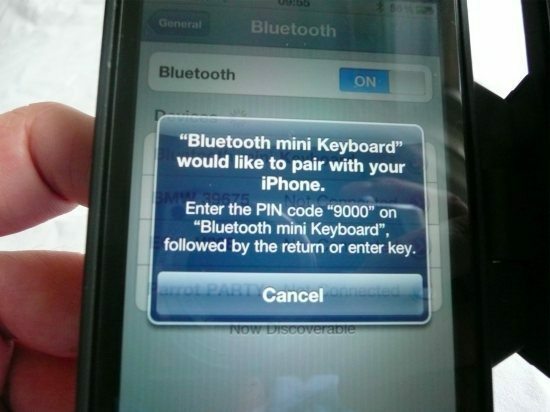 Turn on the Bluetooth on your iPhone 4 by going into settings then General and then turn Bluetooth on, once you have done this go back to the keyboard and on the top you will see a light and to the right of that you will see a little press button (Press it), the iPhone will then prompt you with a pairing code, use the keyboard numbers to punch in the code and hey presto you are up and running. 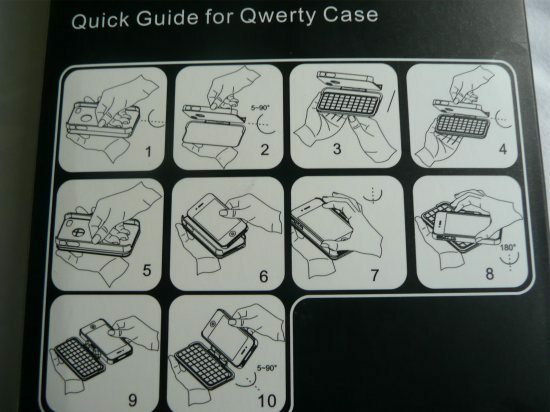 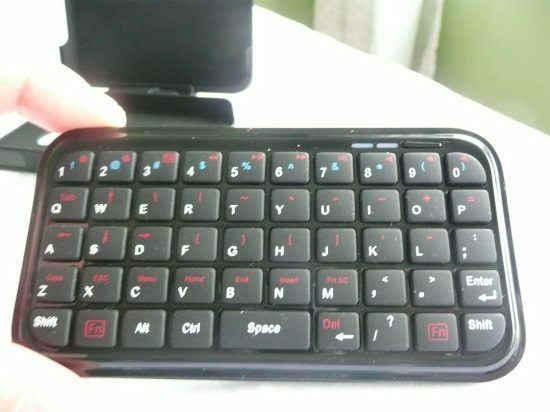 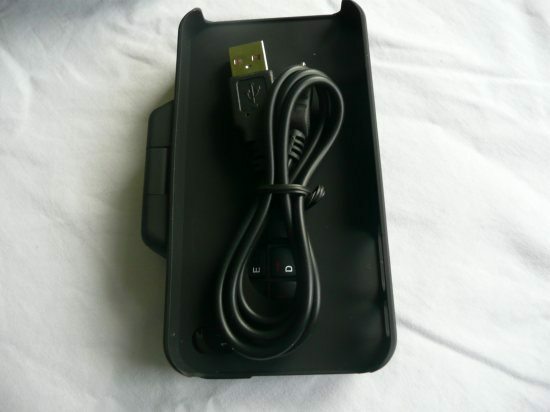 The Bluetooth keyboard that we received via mobilefun.co.uk has its own battery and that means it will not use the iPhone 4 battery at all, the battery in the keyboard is rechargeable via the mini USB cable provided in the box. 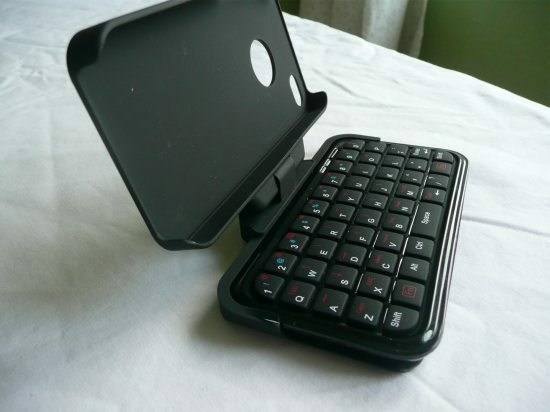 We put the TypeTop Swivel Mini Bluetooth Keyboard & Case through its paces and have to say was very impressed indeed, once the iPhone 4 was in the case and the keyboard was paired we held it in our hands and sent text messages, played with the volume, typed words out in safari, sent a few emails, played with the iPod like volume controls and play / pause etc. 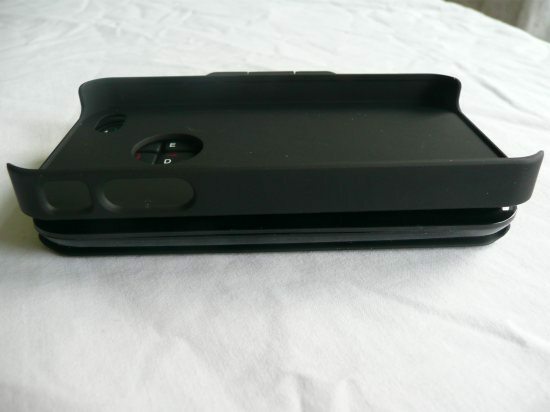 All of the above went smoothly and without any problems at all and will continue to use it, whilst on the move we used the case but when we was listening to music in our Bose docking system we docked the iPhone and took the keyboard out of the swivel case and used the keyboard on its own whilst walking around the house. 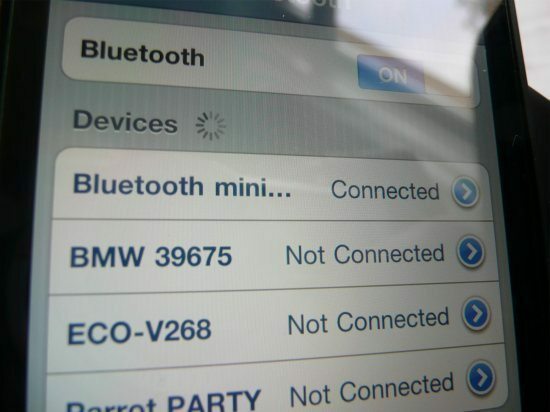 Good signal at a distance of about 20 feet (Our office is not that massive, lol). 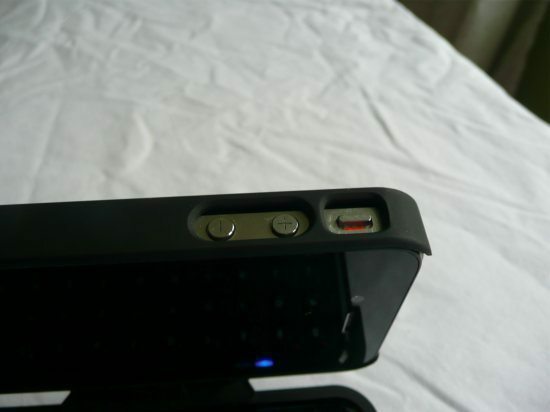 There sometimes lurks behind dark corners positives and negatives, we will get to the negatives in a moment. 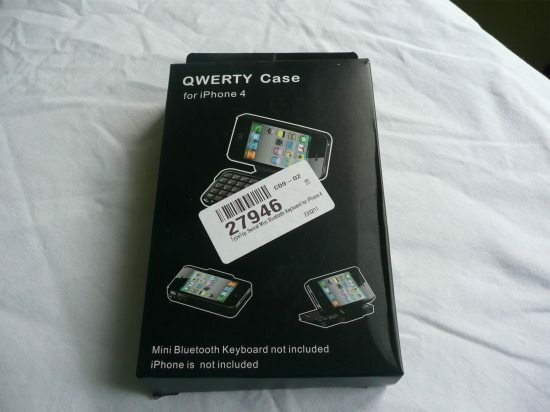 On the positive side of things we really love the TypeTop Swivel Mini Bluetooth Keyboard and case because it makes texting, emailing, playing with the iPod a breeze and once used to typing on the Bluetooth keyboard it was easier than the iPhone QWERTY touchscreen, the case and keyboard feels great and very sturdy indeed and for the price it is a bargain. 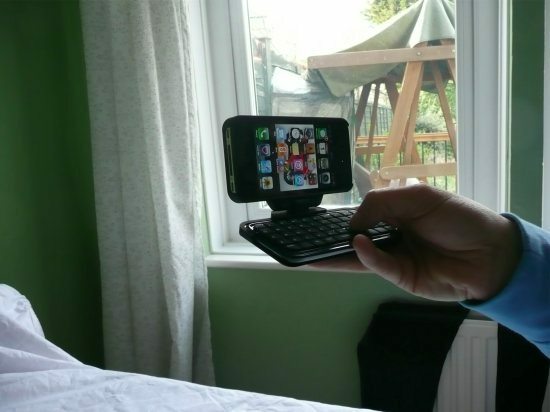 Sorry for the downside of things but sometimes you cannot have everything, the only downside is that if you hold the keyboard and case in your hands with the iPhone 4 facing you it is very nice to hold, but we tried laying it on a desk in this position to use it like a laptop so to speak and this did not work at all. 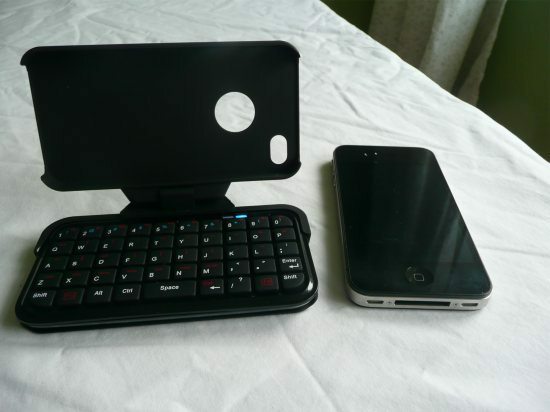 The iPhone 4 is heavier than the case and keyboard together and sitting it on a desk in a laptop set-up it just fell over, you can rotate it the other way so the keyboard is at the back so you can have the iPhone 4 standing for watching videos or FaceTime. 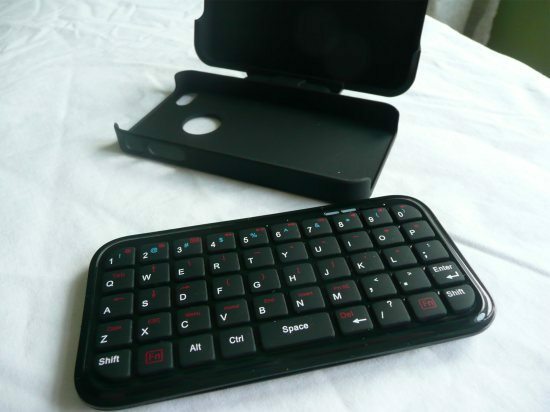 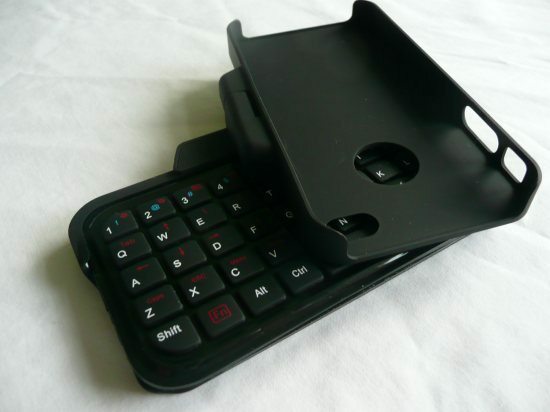 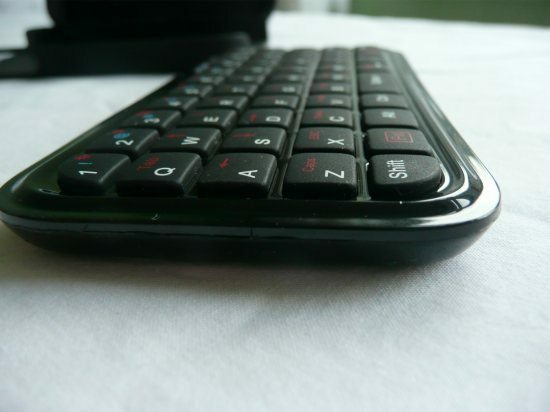 You can buy the TypeTop Swivel Mini Bluetooth Keyboard and case via mobilefun.co.uk for only Â£34.95, we say this is a bargain price; we loved it and will use it. 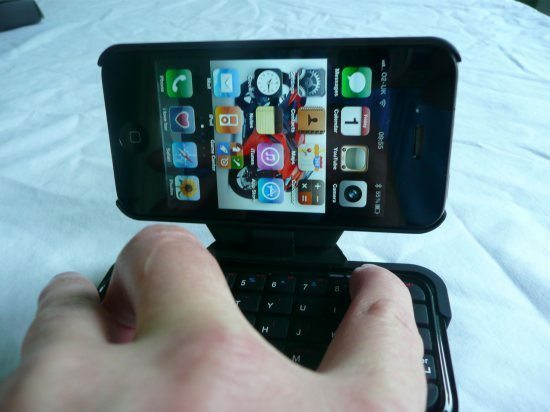 can you put the iphone face down on it so that the iphone screen is facing the keyboard in a closed position?